When Pantone released the 2019 color of the year we couldn't help but put it next on the list of blog topics. First off, what is Pantone? Pantone is a US corporation in New Jersey. The company is best known for it's Pantone Matching System, a proprietary color space used in a variety of industries, primarily printing and more often than not, a wedding inspirational color. This year, Pantone has released that the color of the year is Living Coral, and we couldn't be more excited. It's so fresh, fun, and just reminds me of Spring! Are you lacking inspiration on how to incorporate living coral into your wedding day? We've got you covered! 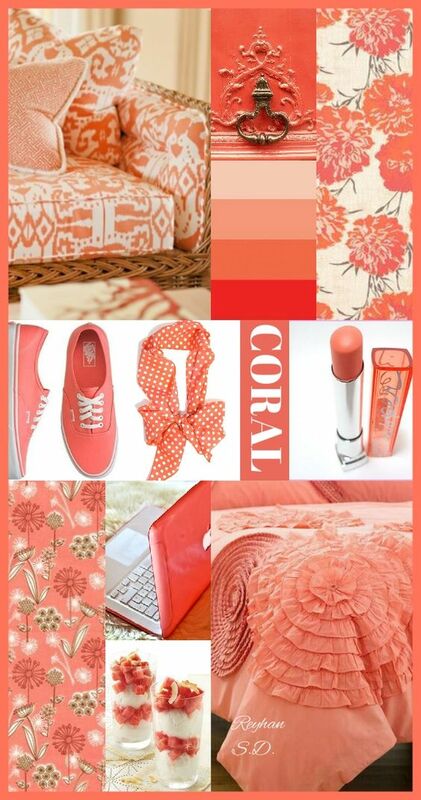 Living Coral pairs nicely with Navy and Charcoal. 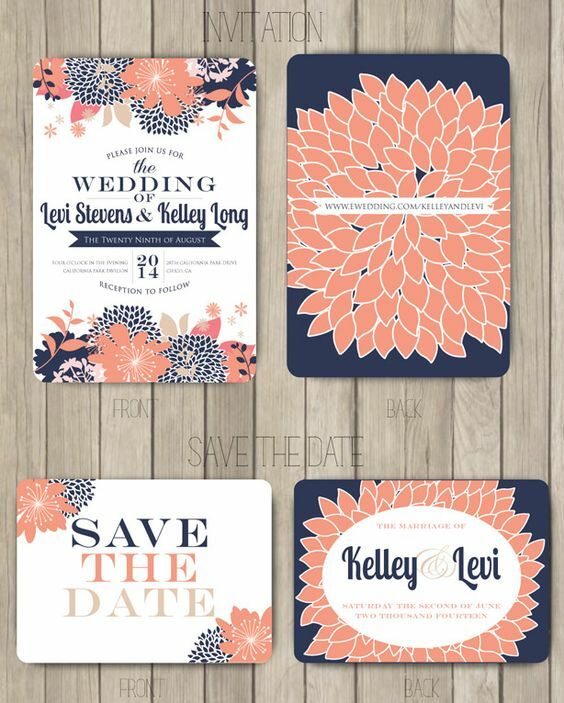 It's so easy to pop a bit of color in your invites, flowers, cake, groomsmen ties or even get the bridesmaids to wear Living Coral gowns. Be sure that when you are tying in the Pantone color of the year, it truly compliments your theme, style and design. For example if you have already planned your wedding and chosen the colors, don't add a coral colored cake just to incorporate the Pantone color. It will look out of place and it may not compliment all of the decor you have already chosen. 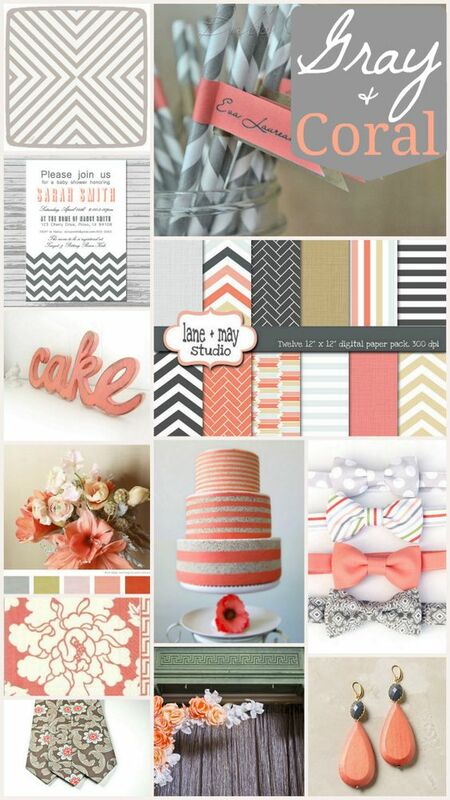 If you have a very neutral palette (white or grey) and you are looking for a pop of color, incorporate coral throughout. Adding small subtle accents can go a long way. Pictured above are only coral couch cushions, yet the entire space seemed transformed, fresh and airy. Keep in mind that this is your wedding day, and that if you really don't like this color, of course you don't need to incorporate it into the wedding day. 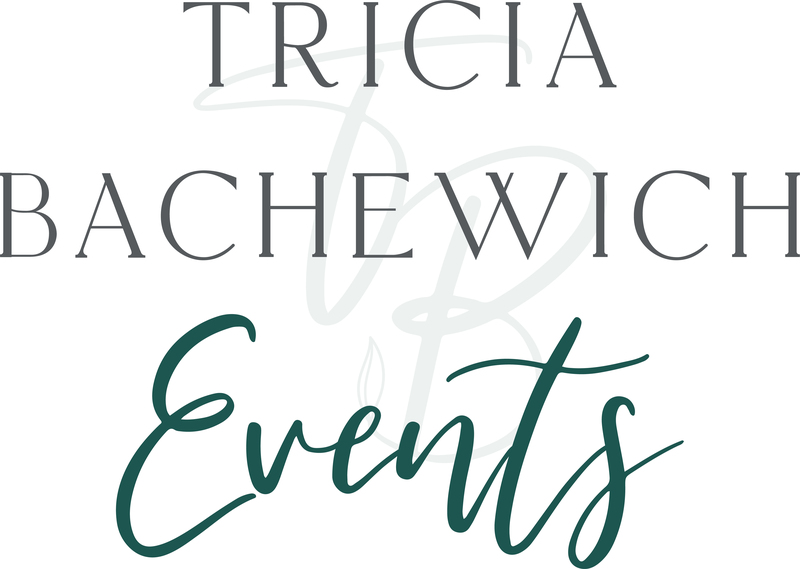 Having photos that you will look back on and enjoy is way more important that feeling like you need to plan the most on-trend wedding of the year. If you have any questions about how to incorporate Living Coral into your wedding, browse my Pinterest page for plenty of inspiration!